They say the antelope with the longest horns is the mightiest antelope in the fields, he's basically a king in the animal kingdom. All other antelopes have to pay their respects and bow before him with their puny antlers whenever he stomps into the meadow. If you're thinking of dressing as an antelope, why not be the king or queen? You don't want to be an antelope with frail little bumps for antlers! We can picture you now, frolicking in the green grass, among the flowers and fellow forest creatures with magnificent horns sprouting from your head. Your antler aspirations can be made possible with this cool versatile accessory! Don't limit yourself to only transforming into an antelope. Just stretch the elastic band over your head and adjust the horns to where you want them to be and your costume possibilities could be endless. You can become a goat, better yet, you could become the evil Black Phillip from the horror movie, The Witch! 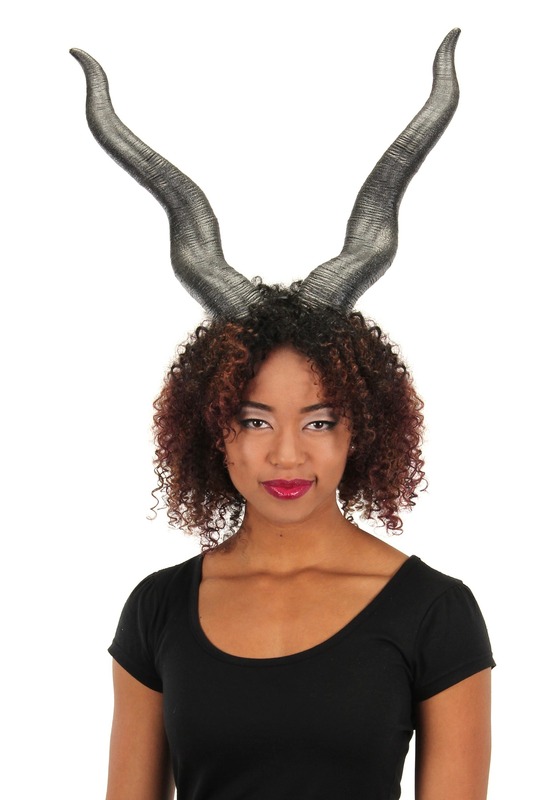 These horns would also enhance any scary devil costume. Place them on the top of your head and reign as the ruler of the Underworld or as the King of Antelopes!